"You can't use up creativity the more you use, the more you have." Arrange an exhibit, a workshop, visit my studio, purchase art or simply say hello. Join my email list to receive news about new works, upcoming exhibits, special discounts and drawing workshops. I respect your privacy and will not share your email address. Want to share your comment about my drawings, paintings or website? Add "share" to the comment and I will post it here. A peek into my studio. "A County Retreat, Scenes of Fearrington Village". Camera in hand, I went in search of inspiring scenes. I am not a good photographer. I don't need to be since I just use the photos as reference. I adapt them, add to them...remove the parts I don't like. I want this series to be representational, so I won't "play" with the composition too much. I'll remove the extra chairs and the shrubs in the foreground. 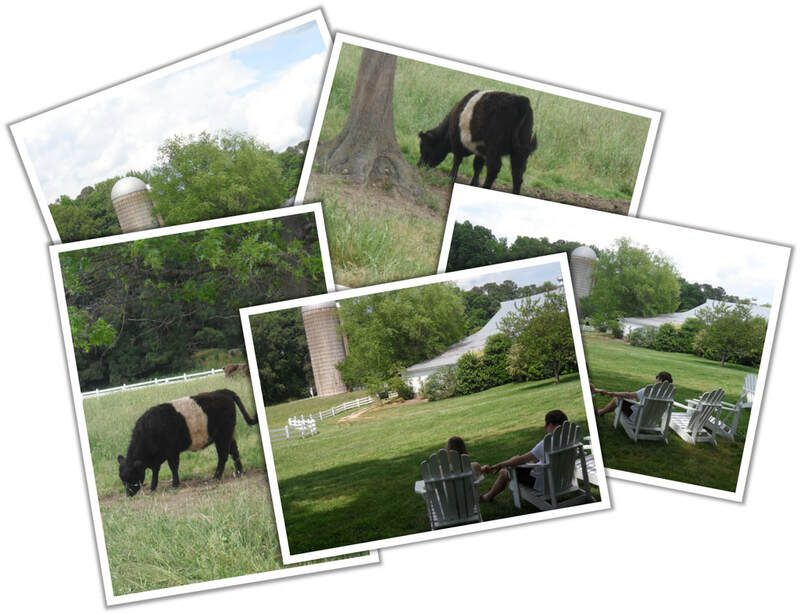 I may include a Galloway cow or two in the pasture. Often, I like to remind the viewer of the process. of drawing so I may leave an area unfinished. Watch this space to see my progress. A commissioned painting makes a unique and perfect gift. Use the Contact Form above, email me at lespalmerartstudio@gmail.com or phone 919-929-9268 to discuss details. Use code "lpwebsite" to receive $25% off. ​Fearrington Village in central North Carolina is a favorite place for weddings. In "Silo Watching" a watercolor painting in this series I hope to capture a peaceful moment, a loving couple just before or perhaps, after their big day. For more about Fearrington Village click the link below.